Ilaria Mazzoleni is an architect and founder of IM Studio Milano/Los Angeles. Her conceptual work has been published internationally, and her built work can be found in Italy, California, and Ghana. Ilaria has gained attention in the fields of sustainable architecture and biomimicry – leading to invitations and participation in multiple international conferences and workshops, with written contributions published in several international architectural magazines. Prior to joining CalArts, Ilaria was a full-time design and applied studies faculty member at the Southern California Institute of Architecture (SCI-Arc) in Los Angeles for more than 10 years. Her professional and academic investigation relates to sustainable architecture on all scales of design with a research focus on biomimicry, where innovation in architecture and design is inspired by the processes and functions of nature. In 2015, Ilaria founded Nature, Art & Habitat (NAHR), a multidisciplinary residency summer program in Val Taleggio, BG, Italy. Her book, written in collaboration with evolutionary biologist Shauna Price, "Architecture Follows Nature - Biomimetic Principles for Innovative Design" was published by CRC Press. Ilaria Mazzoleni holds a Bachelor of Architecture degree from the Polytechnic of Milan, Italy, and a Master of Building Science from the University of Southern California's School of Architecture, and has continued further studies in Valencia, Spain, on an Erasmus scholarship. Over the last ten years, Mazzoleni has investigated progressive issues of sustainable architecture and building technologies, and has participated on international conferences pertaining to the subject. Shauna Price is an evolutionary biologist focusing on speciation in neotropical insects. Her research examines the historical and ecological factors contributing to the high species diversity found in ants with the use of genetic tools, geological data, and morphological analyses. In addition to conducting research, Shauna has collaborated with Ilaria Mazzoleni and IM Studio MI/LA on multiple bio-inspired design projects. She contributes a strong background in ecology and evolution to these studies, with the perspective that inspiration in architecture and design can stem from organisms as small as microbes to broad, ecosystem scales. In particular, symbiotic relationships—close, ongoing associations that have co-evolved between different species—inform her perspective in merging biology with design. Currently Shauna is conducting her Postdoctoral Research at the Department of Biological Sciences at The George Washington University, working in the lab of Dr. Scott Powell, focusing on ecomorphological and biogeographic drivers of diversification in turtle ants. Shauna received her PhD in evolutionary biology from UCLA. Her research focuses on the coevolution between hosts and parasites, using a South American ant species and fungal parasites that infect the ant. She received her BS degree in Zoology from The Ohio State University. Jeff Landreth is a consultant focused on providing energy consulting and engineering support for the built environment. His specialties include strategic energy advice and planning, building performance analysis and energy modeling, new and existing building commissioning, and mechanical/HVAC design. For the past 7 years Mazzoleni and Landreth have been collaborating in researching advanced sustainable technologies and methods both academically and professionally. In 2009, Landreth became a co-instructor and teaching collaborator with Mazzoleni. The two blend both architectural and engineering perspectives to support building systems and environmental systems courses with a focus on sustainability, energy efficiency and building performance. They also team to support other studio, consulting, and research roles at SCI-Arc and other academic institutions including USC and UCLA. Their latest work studies the energy impact of a photovoltaic array on the SCI-Arc roof. In addition, Mazzoleni and Landreth are active in supporting their respective professional organizations (AIA COTE, ASHRAE IBPSA, and others). Jeff Landreth holds a bachelors and masters degree in Architectural Engineering from Kansas State University with an emphasis in mechanical, electrical, and plumbing (MEP) building systems. He is a licensed mechanical engineer (PE), Certified Energy Manger (CEM), Commissioning Process Management Professional (CPMP), and LEED Accredited Professional (LEED AP O+M). Alexandru (Alec) Balasescu is an anthropologist, writer, curator, currently Visitor Scholar at UC Riverside Global Studies Center. He is the author of Paris Chic, Tehran Thrills. Aesthetic Bodies, Political Subjects, ZETA Books 2007, and publishes extensively in international journals covering interdisciplinary and cross-cultural approaches on urbanism, design, material culture, and the body. Alec's contributions reveals the impact of cultural characteristics on the human relationships with nature, translated in the modes of organization of habitat, space, and eco-social systems. Alec's 13 years experience covers a variety of related disciplines and work environments, from industrial design (Renault Technologies) to contemporary art. His work is centered on the relational aspects of human body in both its cultural and material manifestations, economy, and the environment – natural, built, cultural, lived. Alec obtained his Ph.D. in cultural anthropology in 2004 at the UC Irvine, and recently moved in Vancouver where he continues to explore the possibility of lateral thinking about otherwise separated domains. Graduated in Architecture at Istituto Universitario di Venezia, she holds a Ph.D. in Design for Cultural Heritage at Design Department of Politecnico di Milano, Italy. Anna carries out her research focusing on the enhancement of digital heritage through the use of digital archives, virtual and augmented reality, to foster novel learning models of Cultural Heritage. She has been involved in research projects at academic and institutional level, dedicated to curatorship, coordination and organization of exhibitions, workshops, conferences and cultural events. She also writes about design, art and architecture, for blogs and online magazines. Anna Santi and IM STUDIO MI/LA have been collaborating for long time on curatorial, workshops and residency programs specially focused on the dissemination of cultural contents. DeLuca has run her own sustainable resource consulting business – Emergent Solutions, was Outreach Director for The Biomimicry Institute, and was Project Lead for Swedish Biomimetics 3000 where she is now a consulting SME. DeLuca is also an adjunct faculty at Minneapolis College of Art and Design (MCAD) where she teaches two online courses, Creative Leadership and Biomimetic Design, as part of MCAD's 100% online Master of Arts in Sustainable Design program. Denise is now located in Seattle (USA) where she continues to create and share learning experiences for BCI, MCAD, and SB3000 with a focus on Radical Innovation and Leadership Inspired by Nature. 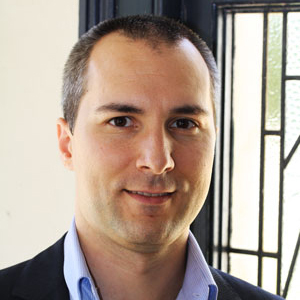 Massimo Garbuio is a faculty member at The University of Sydney Business School since 2009. His passion is exploring how organizations can engage employees at every level in thinking more creatively about the design of their business models and recognizing innovative ideas. Massimo is also particularly interested in design driven organizations. Massimo and Ilaria are currently collaborating on exploring what bio-inspired design means to businesses. Massimo received his PhD from the University of Western Australia and his M.A. from the University of Pennsylvania. He is a member of the Strategic Management Society, the Academy of Management and the Design Management Institute. Roberto's working process strives to use cutting edge technologies to design building envelopes that reflect innovative formal expressions and deliver structural as well as environmental performance programs with focus on the analysis, development and integration of structural systems with complex spatial configurations. Roberto holds a MS in Advanced Architectural Design from Columbia University, a Diploma in Architecture from Bertlett School of Architecture in London and a BS in Architecture from Universisty of Venezia. Richard Molina is a member of the graduate design faculty at the New School of Architecture and Design (NSAD) in San Diego. Focusing on the re-development of the M.Arch curriculum - he collaborates at the forefront of the 1st-year M.Arch I program in both architectural studios and visual representation seminars. Since 2009, Richard has been enthusiastically collaborating with IM Studio Milano/Los Angeles - experimenting on the fringe of biomimicry, biology, and computation to investigate its implementations and operations within the architectural discourse - in order to address contemporary design strategies. Richard Molina holds a Bachelor of Fine Arts in Interior Architecture from San Jose State University and a Masters in Architecture from the Southern California Institute of Architecture (SCI-Arc).